As mentioned in a post I did earlier this week, I’ve been scouring for art work to fill the wall by my dining room table. After doing some research, as we all know, unique, original artwork can have a very heavy price tag. Therefore, after contemplating for some time, I decided put my beret on paint a piece of art of my own. I was thoroughly delighted with the results, but I was even more thrilled about my experience during the process. What I had envisioned to be a SUPER simple piece (I was literally going to paint two colour stripes and call it a day), turned out to be much more than that! I just decided to go with it and see where it landed. I’d love to hear your feedback on my first canvas art creation. Please? Assorted Acrylic Paint. 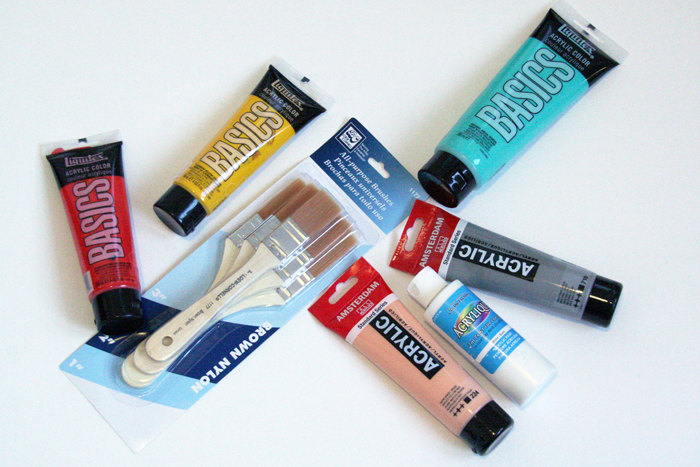 I went with a few tubes of BASICS paint and also a few other brands I already had at home from other projects. I wouldn’t suggest going super high quality your first time but definitely not the tubes from the dollar store, I find that their consistency is extremely thin. 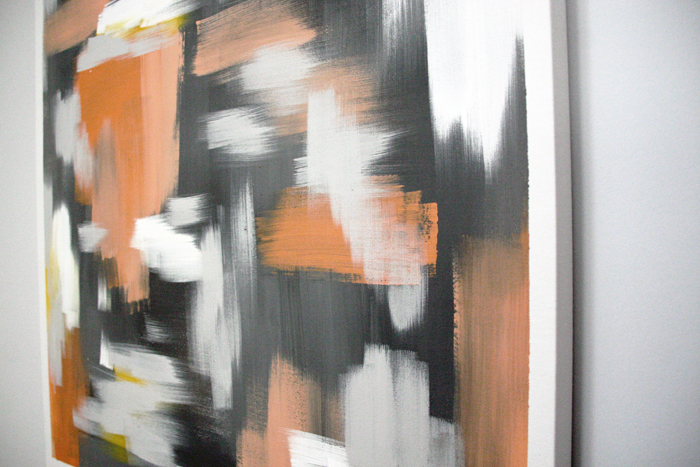 The DIY Canvas Art definitely added some colour into the space and also speaks to our style. I bought another two smaller sized canvases and can’t wait to drum up another couple of pieces. 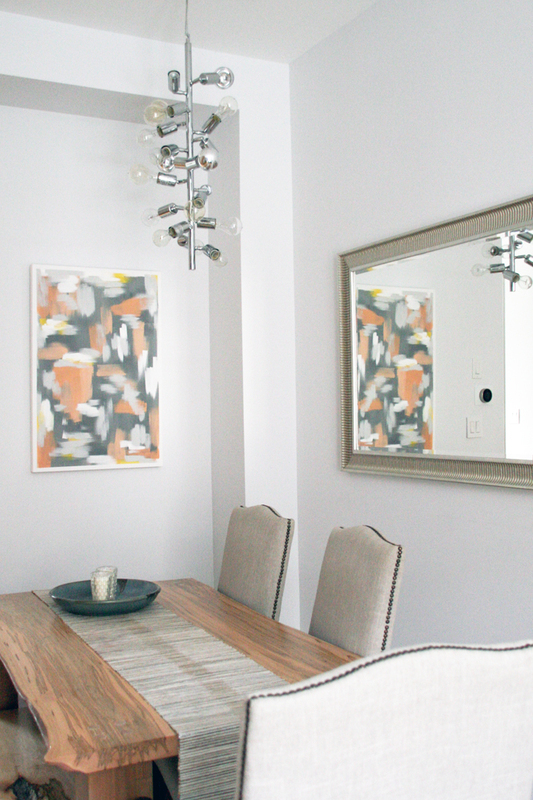 This is such a simple DIY yet will yield a dramatic result! Good job and brand new look of the room! Thanks Agata! I really appreciate your feedback and thanks for stopping by! I create a comment when I like a post on a site or if I have something to valuable to contribute to the conversation. 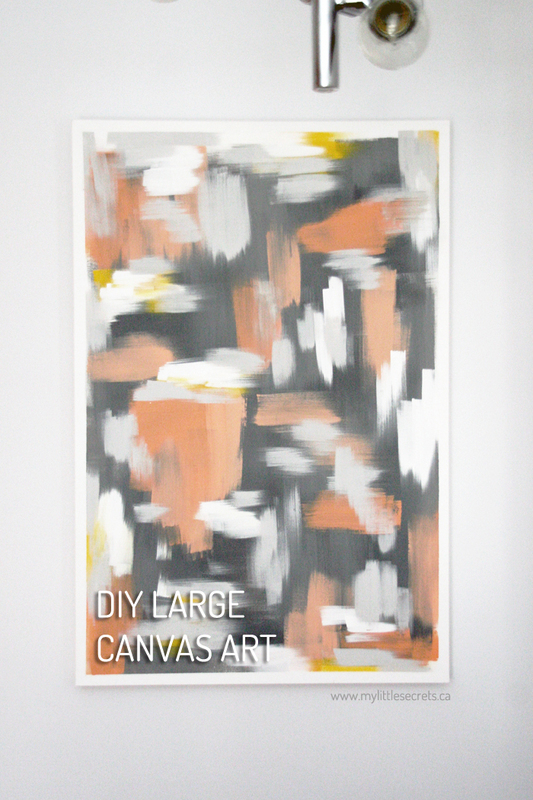 And after this post DIY :: Large Canvas Art. This has inspired me to create my own piece of art canvas. I’ve been meaning to fill the empty wall behind our bed and as you’ve mentioned, original canvas pieces can get a bit pricey. It’s very helpful that you’ve linked where we can get the supplies. Wish me luck! Hi Zoey! This is such nice comment! Thank you! 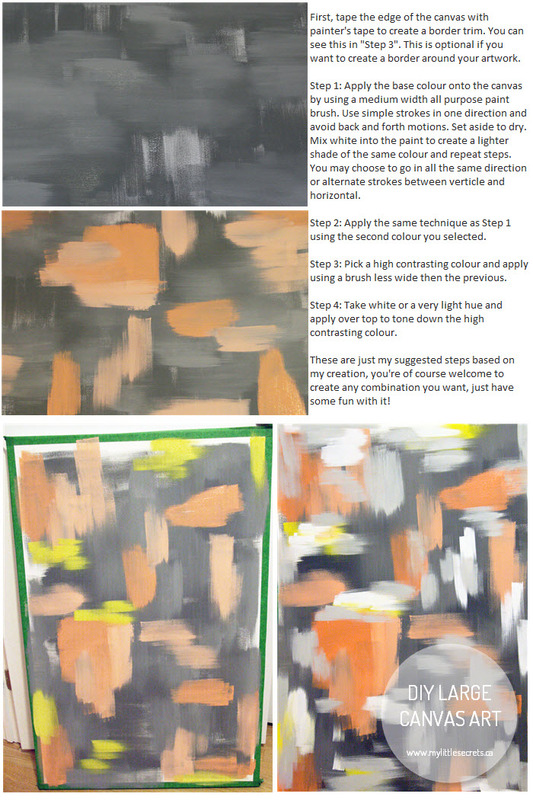 Canvas art is extremely simple to create. Best of luck and show me your final product!! !